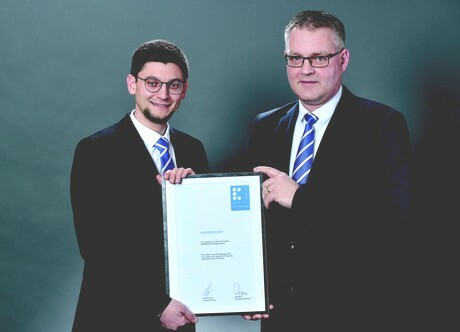 At the award ceremony in Frankfurt am Main, TEKU® sales manager for the German-speaking region and the Benelux countries, Arno Zerhusen, and technology scout Benjamin Kampmann from Pöppelmann innovation management received the pro-K Award 2019. With the plant pot of the Recycling Blue series, Pöppelmann TEKU® was the first to develop a raw material cycle for the production of a serial product from a completely closed recycling cycle, said the jury. The jury members were enthusiastic about the product idea: "Ingenious solution. Minimal use of materials, super light construction of 100 percent recycled material. With this concept, Pöppelmann is a pioneer in the industry," the association stated.